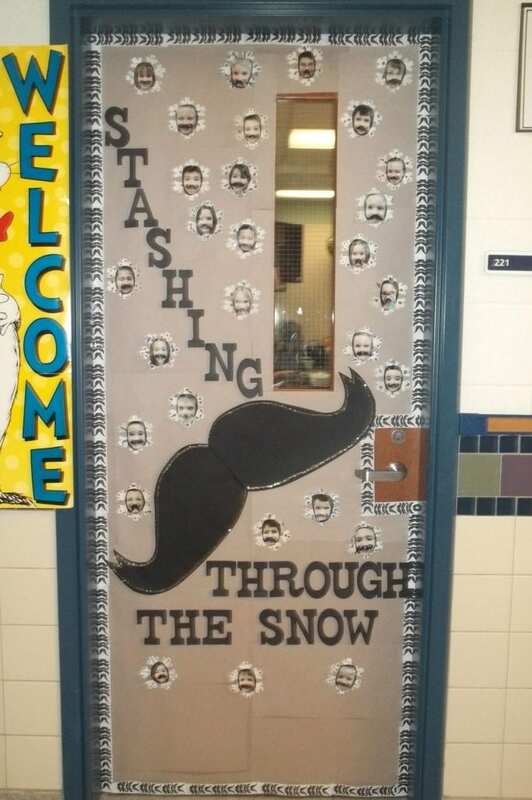 We love it when teachers are creative with their classroom doors! 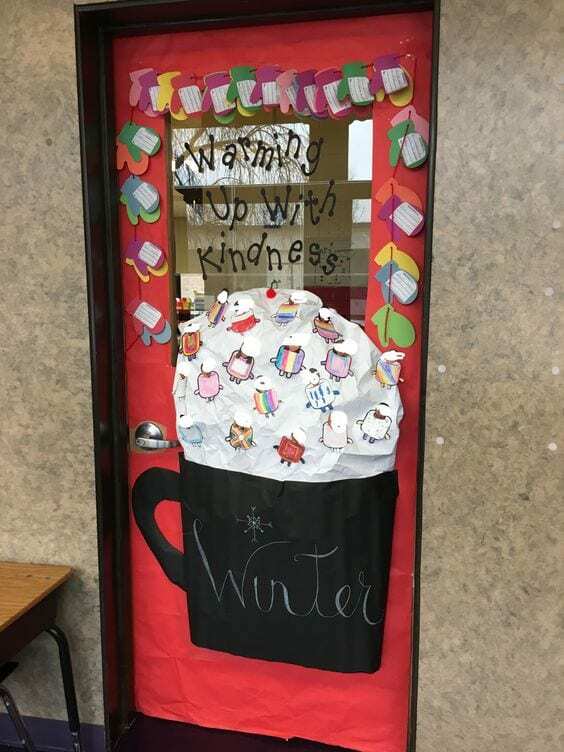 It’s such a wonderful way to welcome students, and it really helps kick off the day on a fun and positive note. 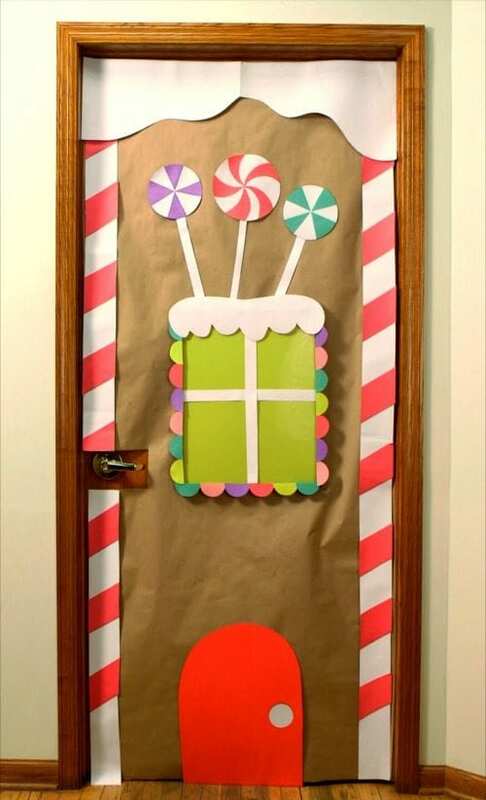 We’ve pulled together some of our favorite holiday doors to give you inspiration and ideas for creating one. 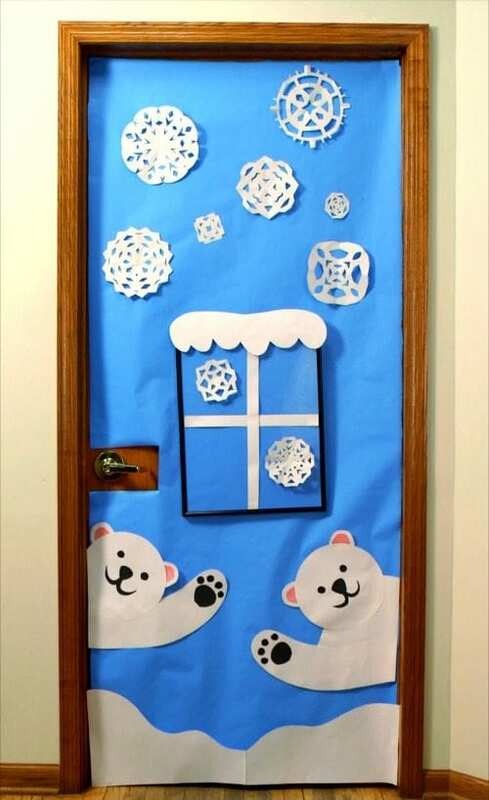 Good luck creating your own winter wonderland door at your school! 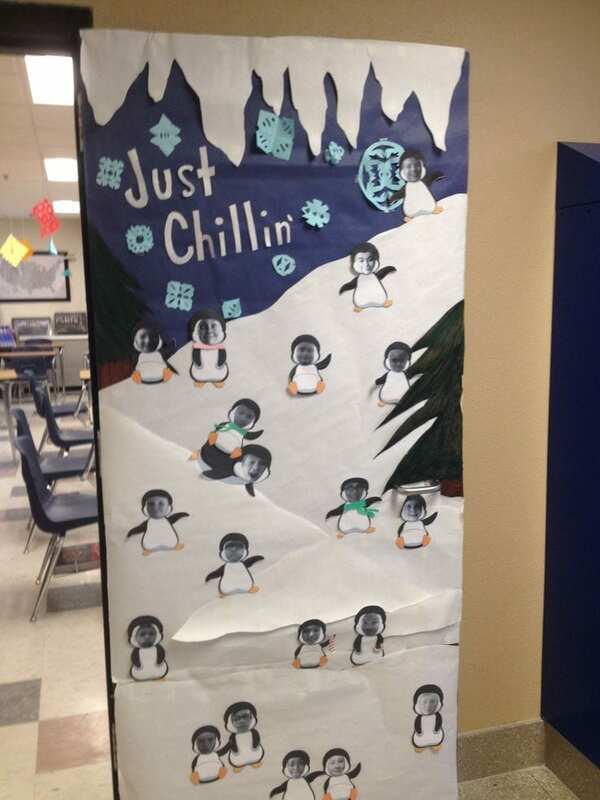 The window of this door was made from a poster frame! Here’s a how-to video showing how this door came together. We love the sweet message on this one! Impressive! 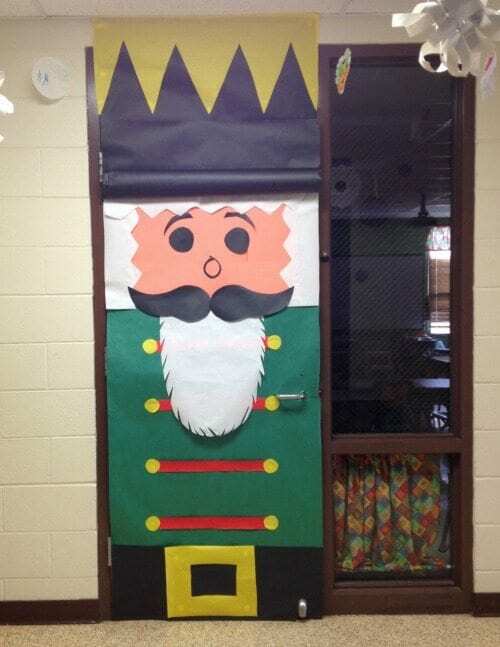 This nutcracker is ready to welcome students. 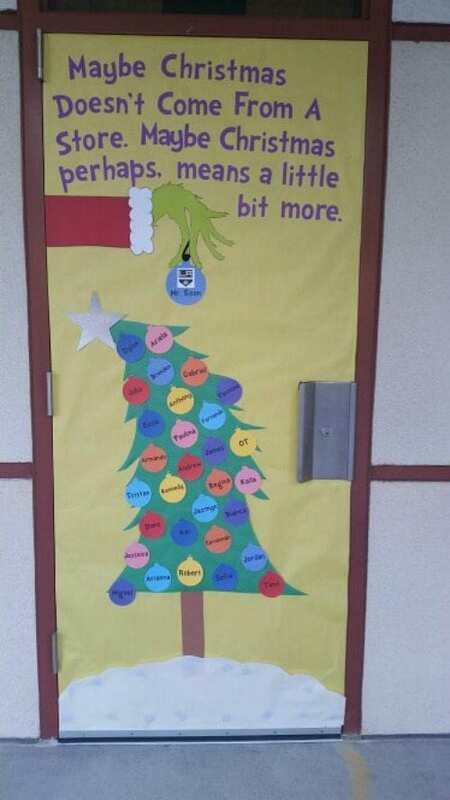 This would make a great bulletin board as well. 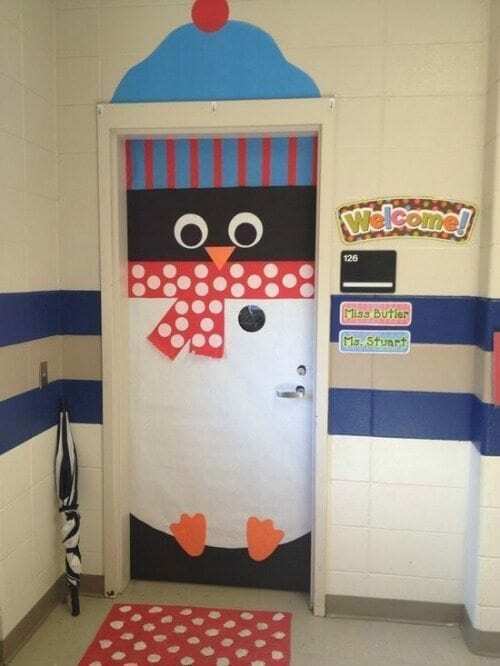 We love the little mat that matches the penguin’s scarf. Fact: the more snowflakes, the better! 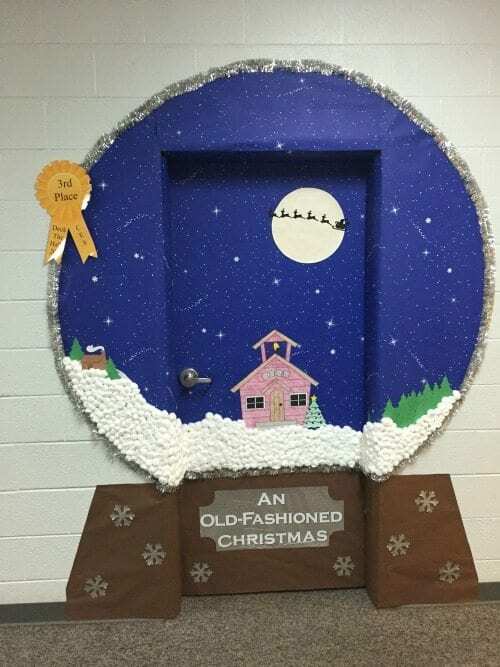 This is another door we created in our how-to video. He’s so adorable and lovable. 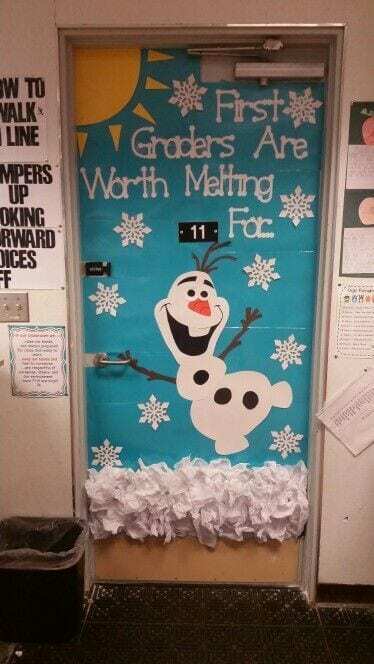 Here’s a little Olaf joy to add to your classroom. 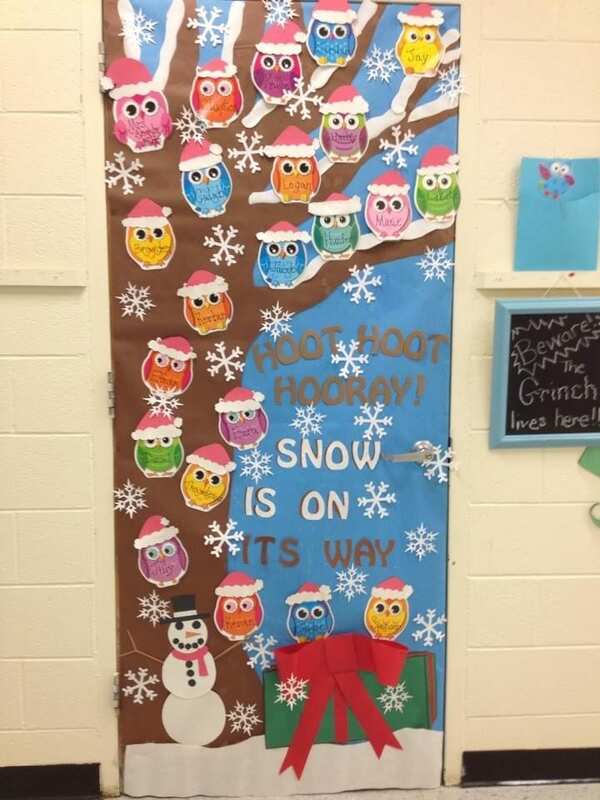 You don’t have to do a winter theme. 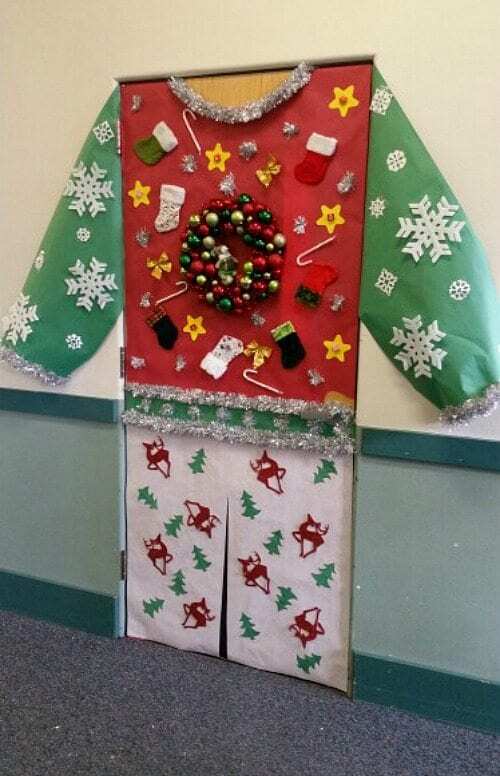 Look at this creativity! 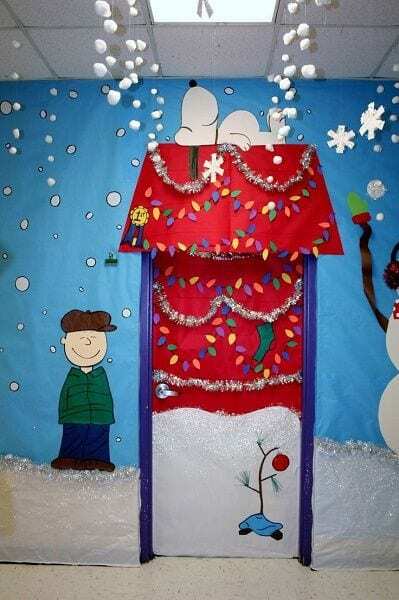 It’s a Peanuts-inspired countdown to holiday break! 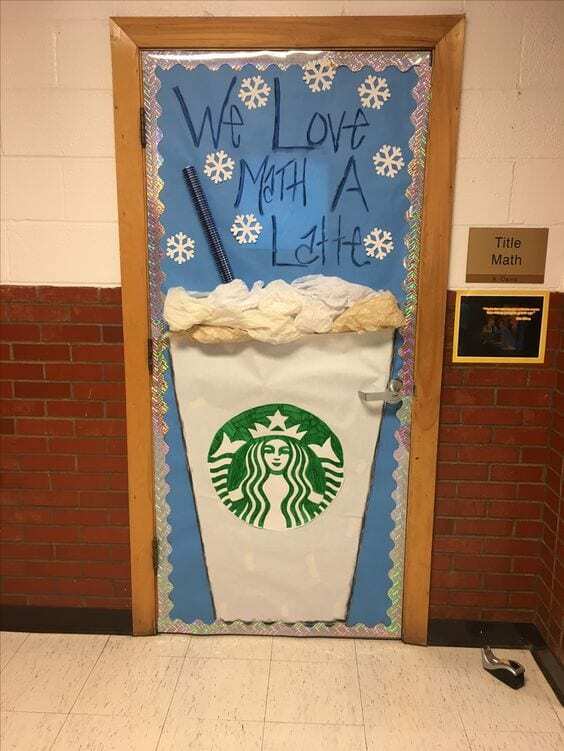 This would be a big hit with middle school and high school students. 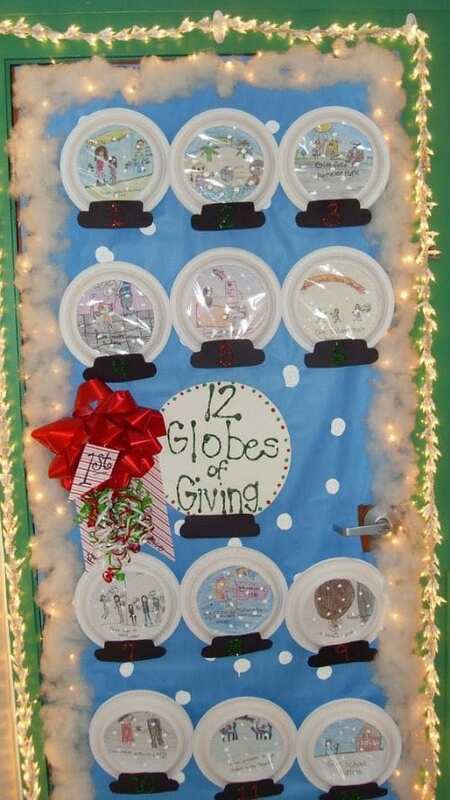 This is a wonderful way to display students’ names during the holiday season. If they only took third place, then who took first? 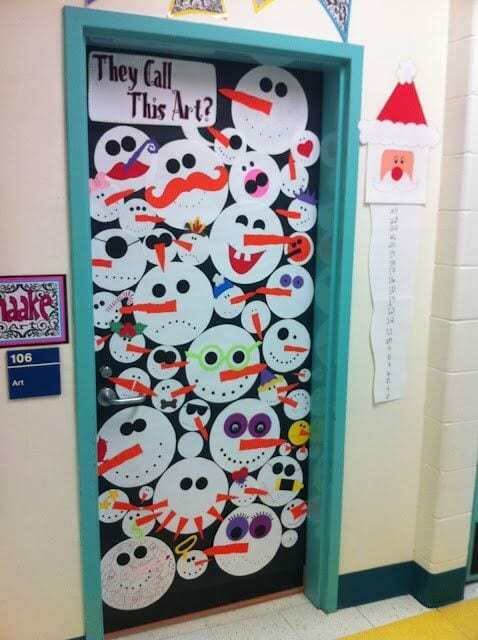 All your students can make their own snowman for this easy classroom door design! 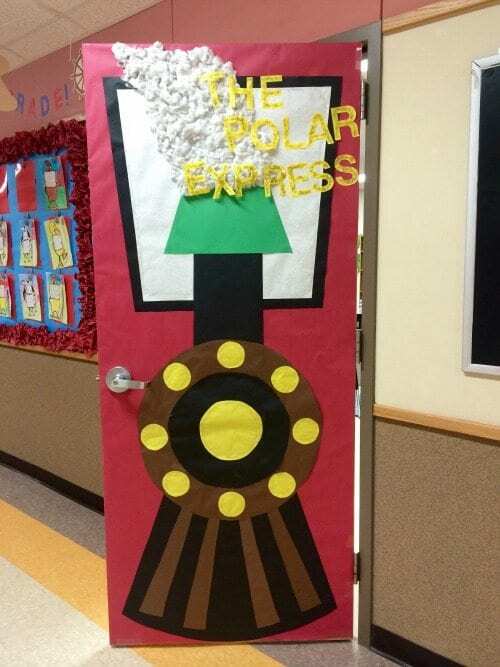 Choo, choo. Here comes the train. Say hello to your polar bear friends! Another favorite of ours, and one that we created in our how-to video. 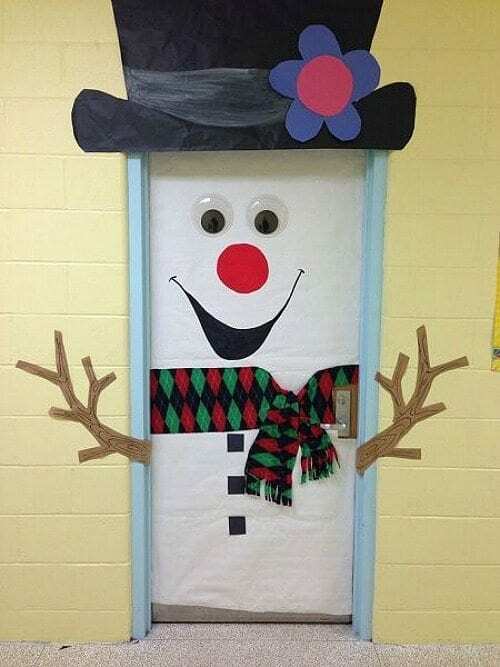 We love this 3-D snowman. The more bling, the better! 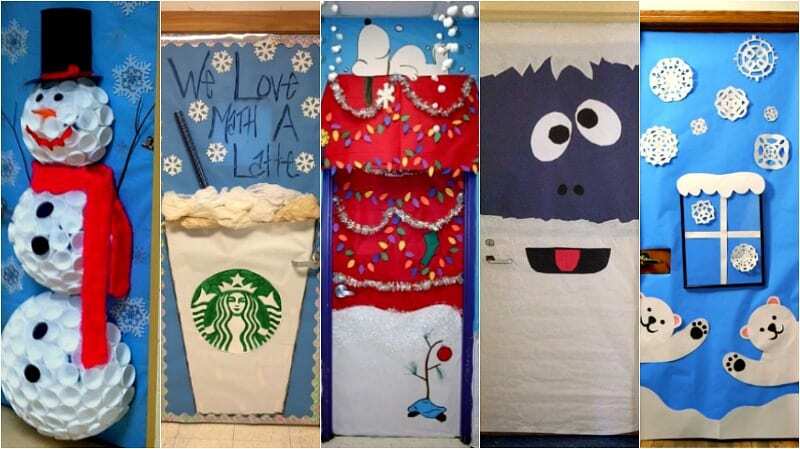 This is another great idea for featuring your students! Just put their faces on the penguin heads. Get your students involved in this one! Have some extra baking sheets? You have a door in the making! 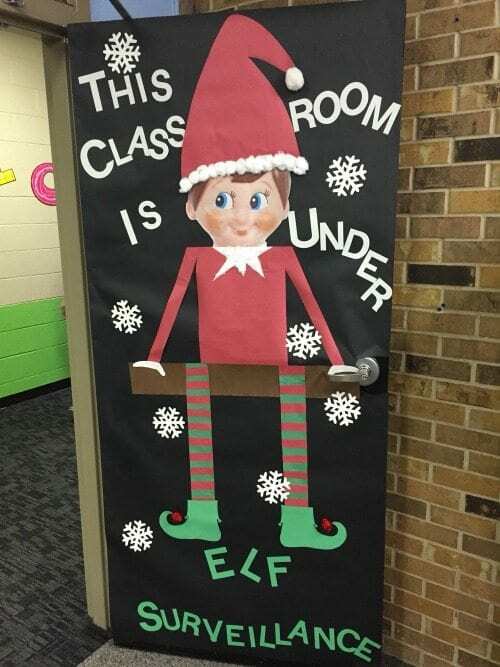 Do you do Elf on the Shelf in your classroom? 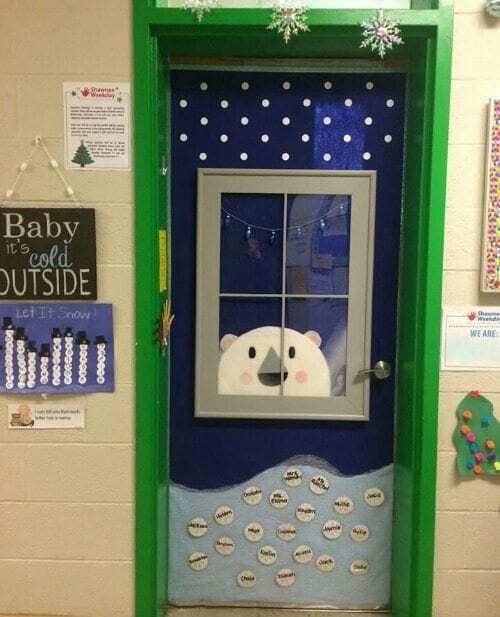 We love this peek-a-boo polar bear. 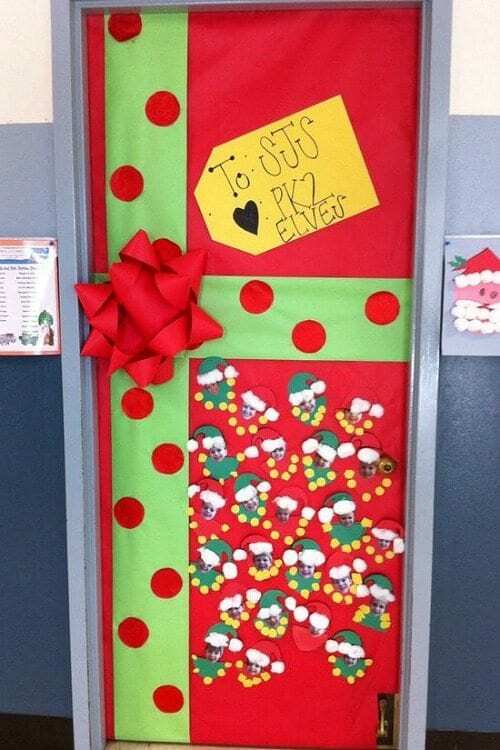 Portray all of your students as little elves! 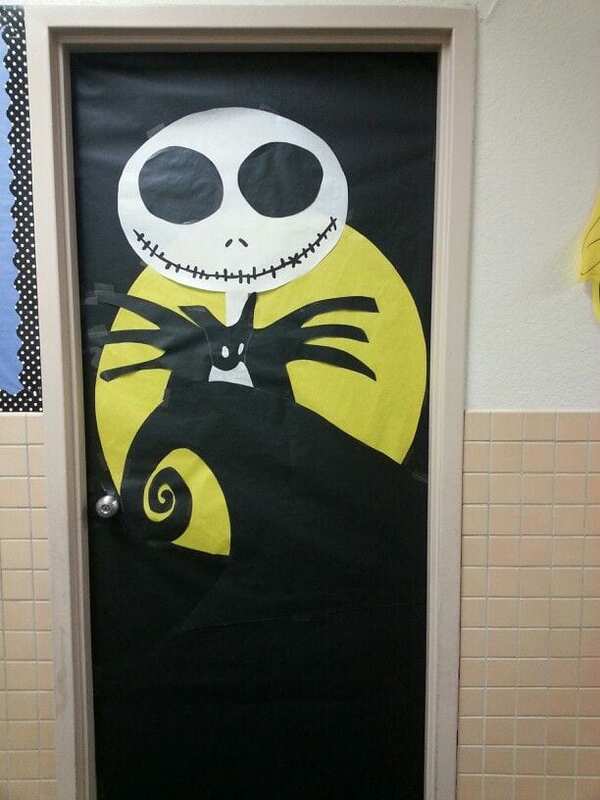 If you’re looking for a different color scheme, this door might be for you. 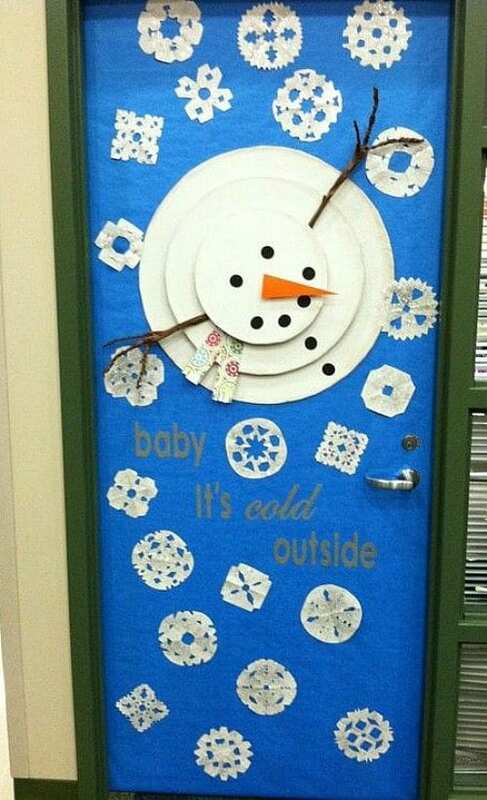 Have all of your students make a snowflake to put on the door! It’s always a good time for owls! 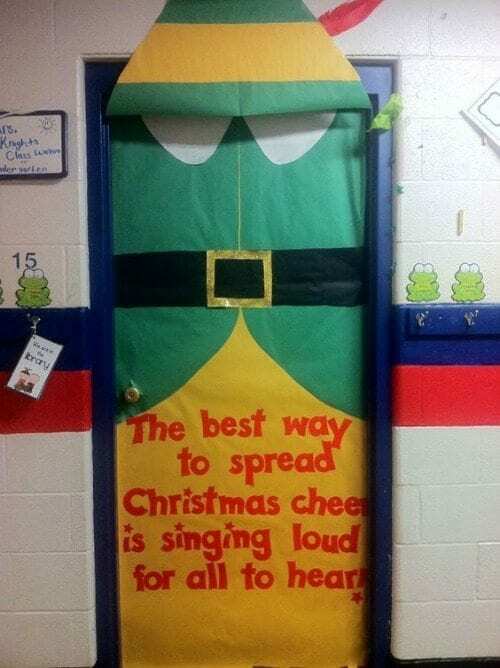 It’s also always a good time to promote kindness in your classroom. 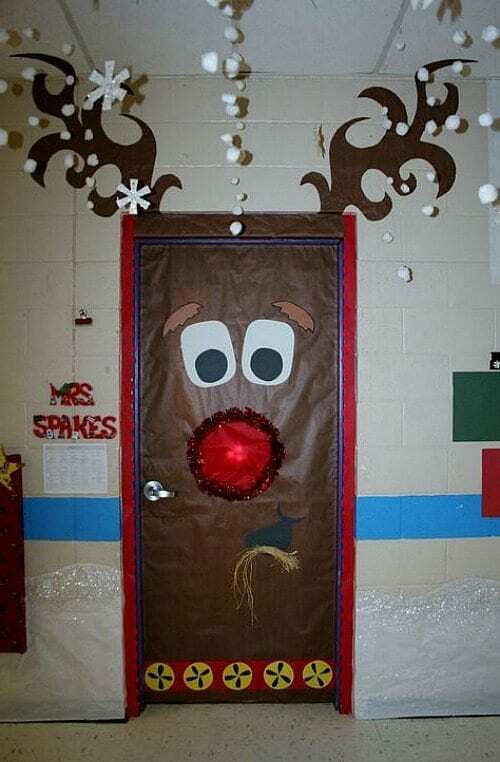 The eyes make this door! 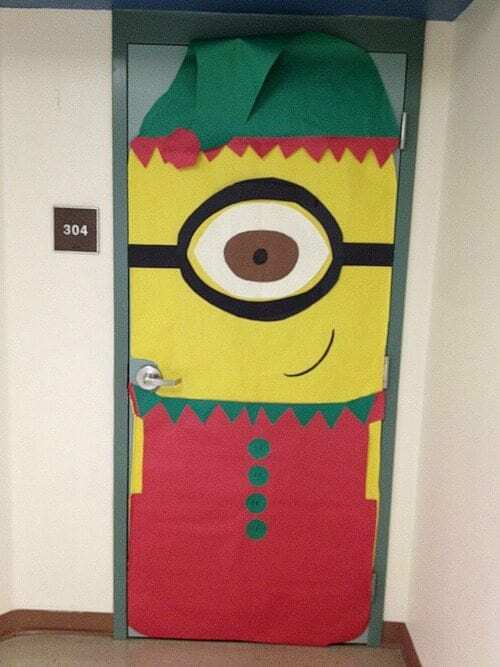 Minions are good any time of the year, but they’re really awesome during the holidays. Frosty offers a perfect and friendly welcome. 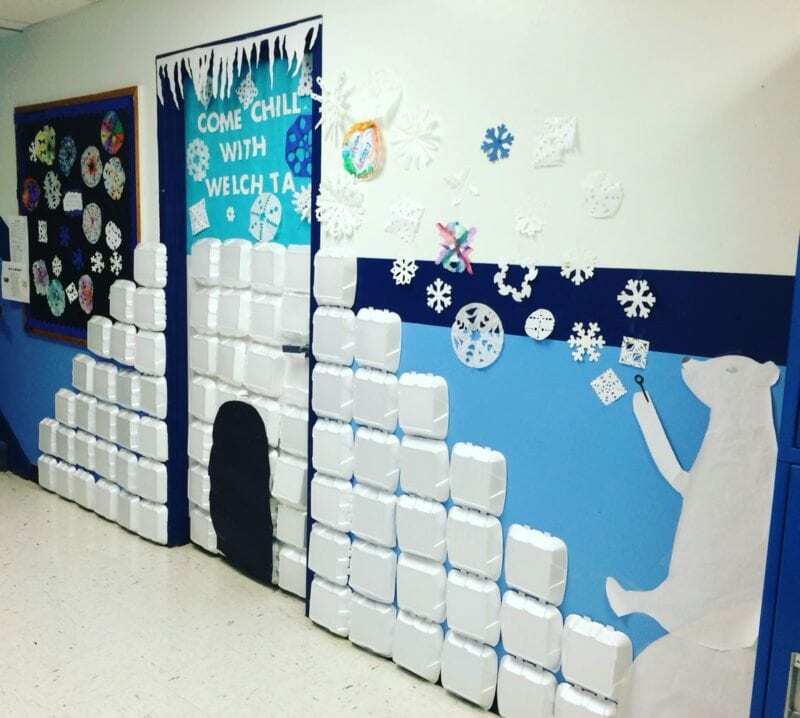 Why yes, that is a polar bear blowing bubbles and take-out containers turned into an igloo! 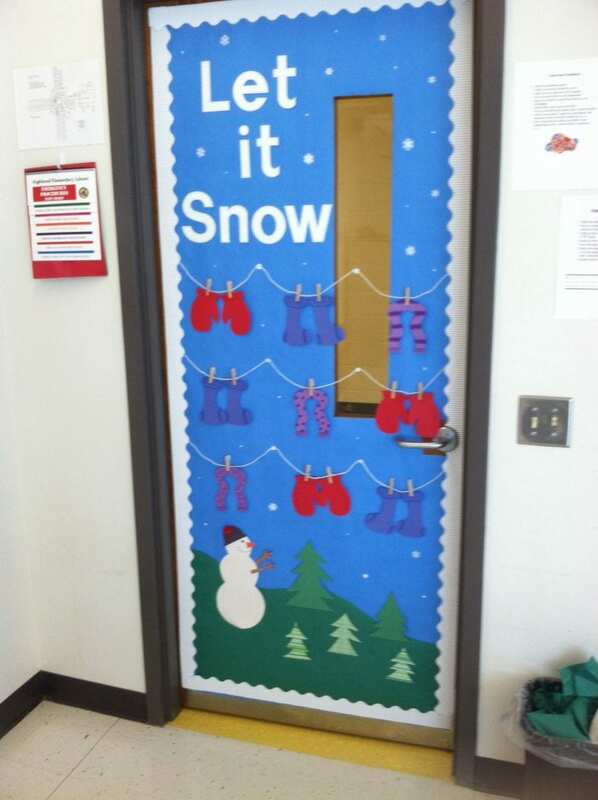 Mittens are an easy and cute way to personalize your classroom door. 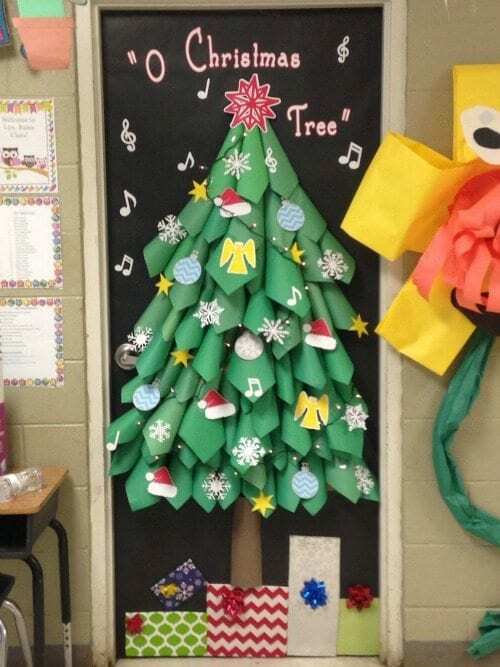 Each of your students can cut out their own! The 3-D design of this tree is awesome. 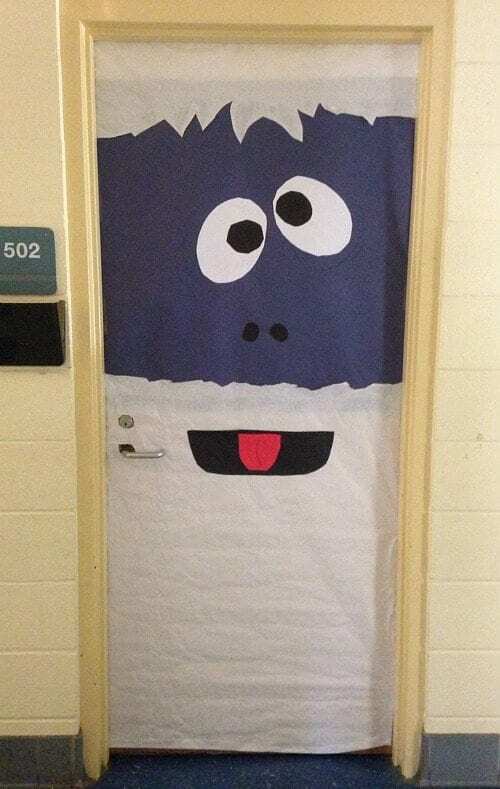 Check out our video on how to make three of these doors. 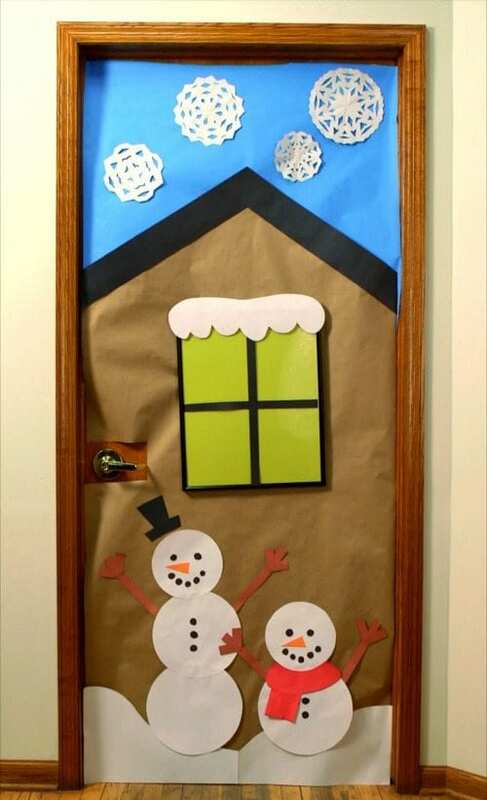 Do you have a great winter door? 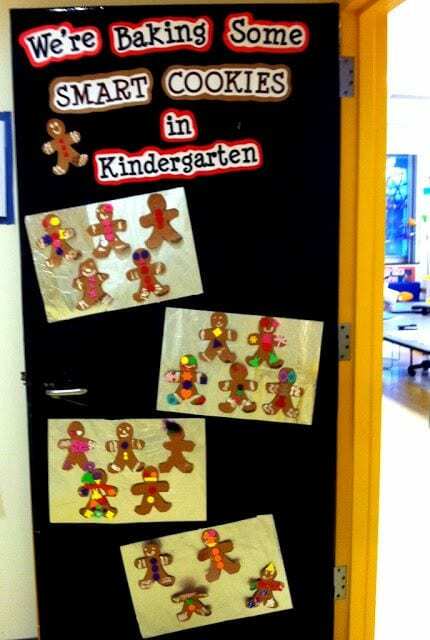 Share your photos with us in our WeAreTeachers HELPLINE group on Facebook. 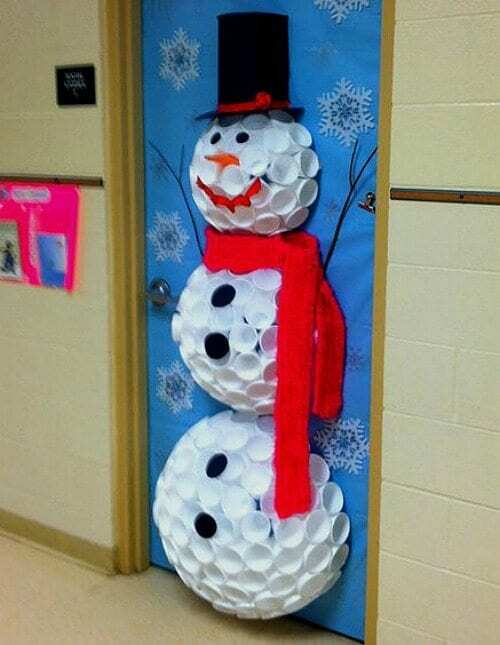 Plus, check out our favoritewinter crafts.